the book has good paseing and good energy in the reading. 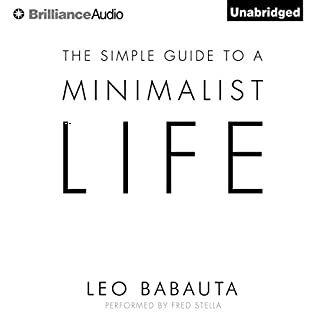 While I can find the information online, it's nice having it contained in one audiobook. How I use the book is while listening I de-clutter. Good book for the price. Major Voria stands ready to accept the cost for her actions at Marid. 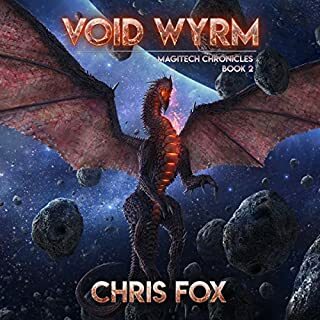 Stripped of command and resources, Voria must find a ship and rally a crew. Somewhere within the Umbral Depths lays a hidden world, a world that the dead god, Marid, intended her to find. Aran faces a choice. Halt his war mage training and, in the process, give up clues to his past, or abandon Voria. 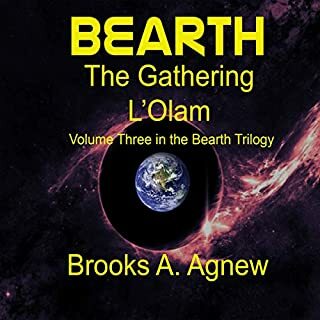 Aran sacrifices everything to follow Voria on a suicidal quest into the one place where even gods fear to tread. 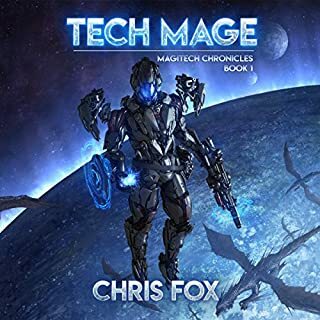 I loved Listening to book 2 of the Magitech series. I can't wait to dive into book 3. The narrator is good at his craft, using different voices for the characters. The writing is descriptive because I was able to visualize the story and characters and the action. The book also had a good flow to it. Each chapter was like eating potato chips. I could not eat just one. the umbrel debths. Chris Fox master story teller. Even though the author had problems at times reading the book, I loved the story. The characters are also strong characters. I thought that this was the second book in the trilogy; it is the third book and a great stand alone story. I do plan on going backwards to read the first two books in the trilogy. I would say this book is a spiritual science fiction book that could be real, but that is up to the reader to say. 5 star story. Better then the movie. A must listen to. See what was Rey's second listen, and what really happened in Luke's head. By: Robert T. Kiyosaki, Sharon L. Lechter C.P.A. People learn to work for money...but never to have money work for them. 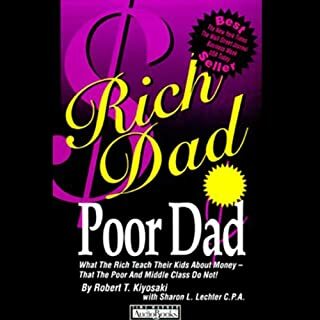 That's what Robert Kiyosaki says in this guide about what rich dads tell their children that poor dads do not. Browse all Rich Dad titles. Powerful Knowledge. I believe that every American needs to read this. Schools should teach these basic principles of money. 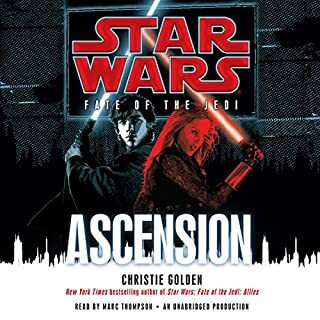 Luke and Ben Skywalker pursue the formidable dark-side being Abeloth, the Lost Tribe of the Sith is about to be sundered by an even greater power - which will thrust one Dark Lord into mortal conflict with his own flesh-and-blood. On Coruscant, a political vacuum has left tensions at the boiling point, with factions racing to claim control of the Galactic Alliance. Suddenly surrounded by hidden agendas, treacherous conspiracies, and covert Sith agents, the Jedi Order must struggle to keep the GA government from collapsing into anarchy. Greatest Narrator of all time! Better than "The Last Jedi "
Action, adventure, character development, Star Wars music, a myth for a new age. Disney should have made this into a movie. 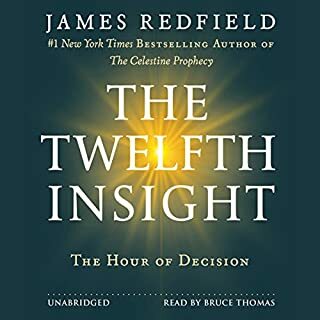 many of you know that soul,spirit, or the divine work though anything to inspire us to grow beyond of where we are currently in life, the 12th insight is one of those ways. open the door and let the one divine source fill your being. The inspiring journey of The Celestine Prophecy and The Tenth Insight continues, carrying us to a new adventure and new spiritual truths that are now emerging in human awareness. Also available unabridged. look beyond the words for divine realization. Also you may want to check out the Immortal Series by JJ Dewey on Amazon. Luke Skywalker returns for an all-new adventure in this thrilling upper middle grade novel. 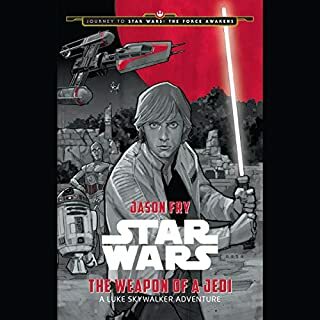 Set between Star Wars: A New Hope and Star Wars: The Empire Strikes Back, the story finds Luke Skywalker, C-3PO, and R2-D2 stranded on a mysterious planet and explores a dangerous duel between Luke and a strange new villain. 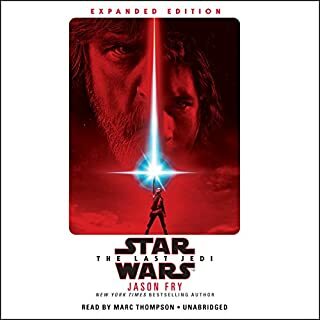 Hidden in the story are also clues and hints about the upcoming film Star Wars: The Force Awakens, making this a must-listen for fans old and new! Where "hints about...Star Wars: The Force"? could this be the beginning of who Ret's mother is? Also was Snoke created in this book? Listen to find out.